Our story picks up some way past where Dead Iron ended. Cedar Hunt and his brother Wil, along with the Madder brothers, Mae Lindson, and Rose Small, have left Oregon and are headed east in a covered wagon. They have two goals: to find the pieces of the mysterious weapon “The Holder”, and to return Mae to the witch coven before their summoning spell causes her to lose her mind. Both Cedar and Wil still bear their curse, with Wil trapped as a wolf except under a new moon, and Cedar is still a werewolf under a full moon. Things get off to a bad start right away when Cedar kills a man without even realizing it. It seems the beast within can sometimes take over his mind, even without Cedar changing into wolf form. The situation goes from bad to worse when the group stumbles into a trap set by the Strange, and Rose is injured by a piece of the holder. Separated from the Madders, with Rose’s wound getting worse and Mae’s sanity slipping, Cedar finds it increasingly difficult to keep them alive. And a whole new cast of characters are introduced, that both help and hinder the situation. Mae’s magic seems to be growing stronger and is more prominently featured, but the story really takes a big leap forward into a more steampunk feel with addition of airships. Made of various metals and used to harvest the mysterious substance known as Glim from the sky, the ships are similar to dirigibles but are steam-powered. There are a few ship-to-ship battles that are described quite well. 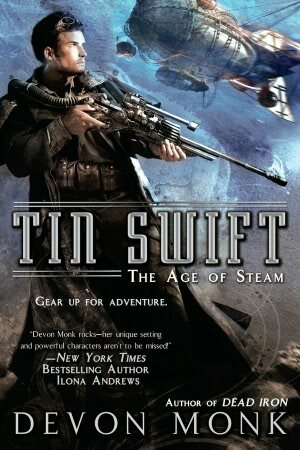 The title of the story is derived from one such ship made out of tin, called the Swift. The Swift is piloted by Captain Hink, a pirate-like scoundrel who is more than he seems, with a significant backstory that is essential to the plot. His crew is not explored with as much depth, although one crew member is related to Gregor, the blacksmith in the first book. Most of the story is told from Cedar’s point of view, and we also have Captain Hink’s view, as well as his adversary, General Alabaster Saint. Though it is still a character-driven story, much of the development of characters was covered in the first book. This allows Monk to move the story along at a brisk pace. The action sequences are plentiful, and suspense abounds throughout the story. I still have a problem with a couple action scenes where so much is happening, it’s hard to form a clearly detailed picture. Also, after Cedar’s initial blackout where the beast takes over his mind, it never happens again in the story, making it a highly suspect plot device. And some characters still seem to be impossible to kill, removing some of the tension. 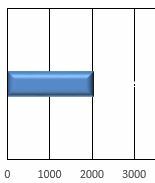 I was also able to predict some of the plot threads a little more than I was able to in the first book. These problems are, however, insignificant to the enjoyment of the story, as Tin Swift is an excellent book – in fact, it’s one of the best I’ve read this year. Monk’s prose is still wonderful to read, the plot makes sense, and the pacing is far better than Dead Iron. The good guys are easy to like and the villains are easy to root against. This is one of those books that I hated to have to put down, which is pretty rare for me lately. I was reading this book at work, and Throne of the Crescent Moon at home, and while it’s not fair to compare the two, since they are different genres and styles, Tin Swift was the book I couldn’t wait to get back to reading. I’ll be eagerly anticipating the release of the next book in the series. 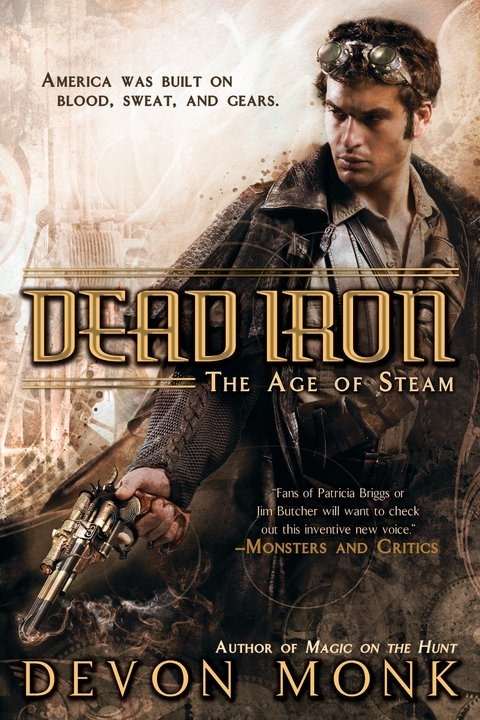 Highly recommended to fans of steampunk, westerns, werewolves, and serial fantasy.